Dr Debbie Smith is the Managing Director of BRE Global. 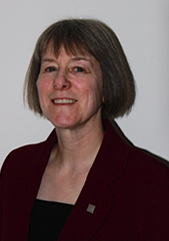 Since joining BRE in 1984, she has been involved in fire related work in research, testing, certification and consultancy including the area of sustainability, specifically its impact on fire protection. She has been heavily involved in the development of new European fire test methods and classification for construction products, in addition to the development of Fire Safety Engineering standards where Debbie holds the Chairs of the Committees in BSI on Reaction to Fire and in Europe on Fire Safety responsible for the development of all fire test methods for construction products and fire safety engineering. In June 2010, she was awarded an OBE in the Queen’s birthday honours list for services to fire safety.